2019 is shaping up to be a big year for Fender. At the tail end of last year, they launched the American Performer series, the company's most affordable line of American-built guitars. On Tuesday this week, they released a groundbreaking new acoustic-electric hybrid, the Acoustasonic Telecaster, which combines natural resonance, pickups, and digital modeling of acoustic body shapes to give players 10 voices in one guitar. Today, they're expanding their lineup with two limited edition series at two different price points: the made-in-Mexico Alternate Reality and the U.S.-made, boutique-style Rarities. If you loved the idea of last year's Parallel Universe guitars but didn't have the scratch for U.S.-made axes, Fender's got you covered. The Alternate Reality series is, in concept, similar to the Parallel Universe, but it takes its own creative cues for five brand-new guitars. And, because they're made in Mexico, they'll be available for less the $1,000. The individual models will be released throughout the year, beginning in March. 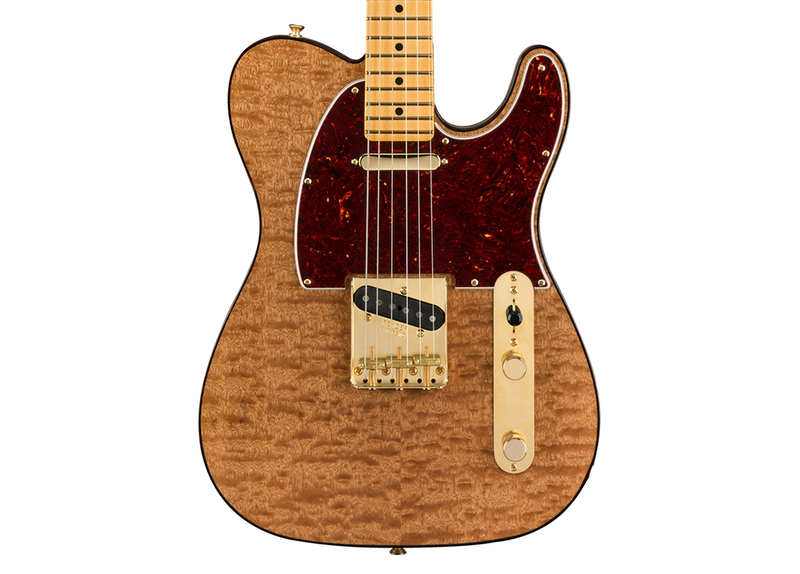 The Tenor Tele will join the slim ranks of electric tenor guitars. 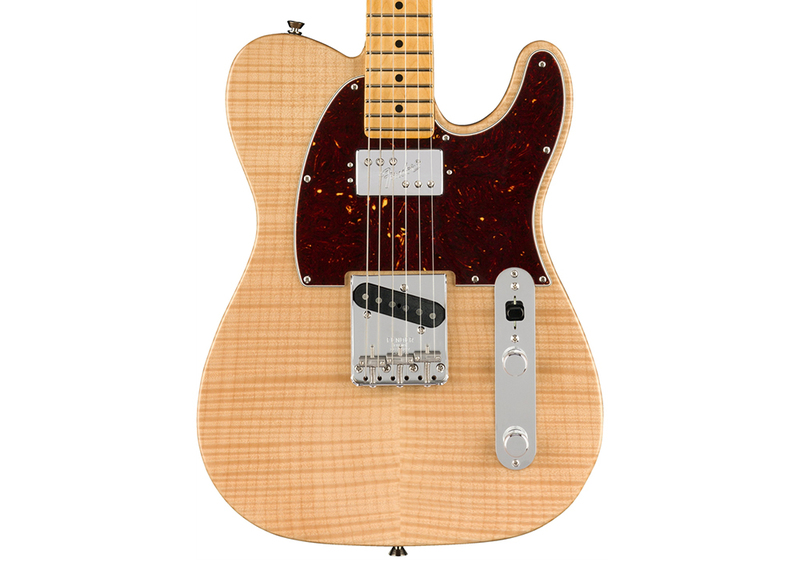 The custom-designed 4-string alnico pickups give the twangy and powerful sound of a Telecaster, and the controls are standard issue, but players can explore the unique tonalities (and plenty of alternate tunings) that a tenor provides. 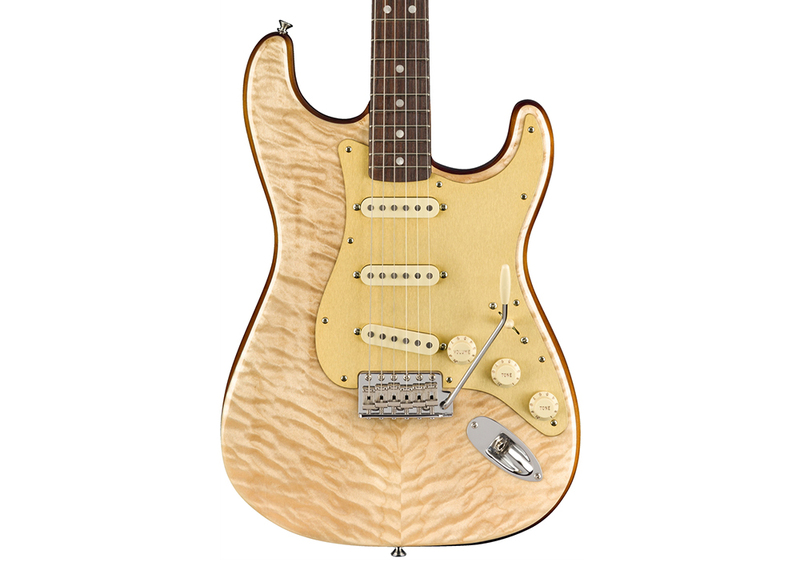 It has a 22.75"-scale maple neck with a U-shaped profile, a modern 9.5" fretboard radius, and 21 vintage-tail frets. It will be available for $499 USD in Lake Placid Blue, fiesta red, or butterscotch blonde. Fender first made the Electric XII in 1965, with originals commanding high prices on the vintage market. Now, the company says they've re-engineered the model from the ground up for the Alternate Reality Electric XII. 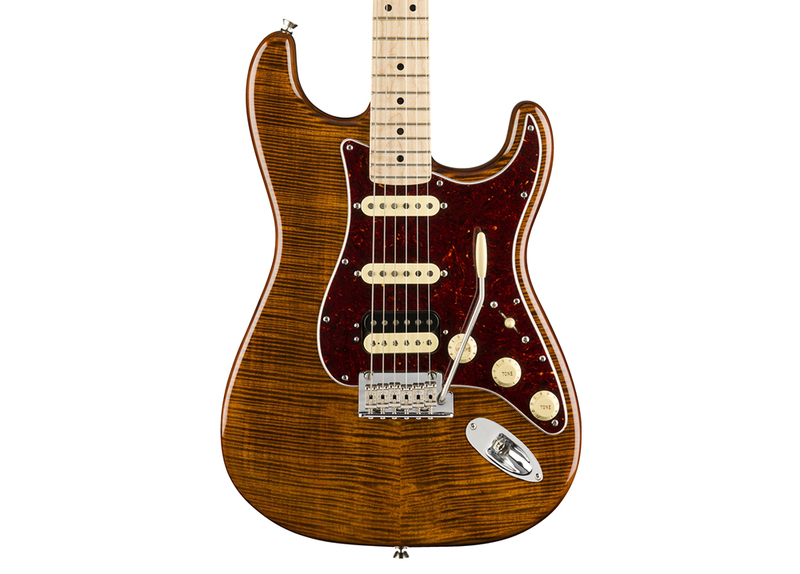 It has the familiar body, headstock, and sound of the original, but the split-coil pickups are newly designed, with a 3-position switch that lets you player either pickup on its own or in tandem. It has a modern C-shaped neck profile, 9.5" fretboard radius, and 22 medium-jumbo frets. The Electric XII will be available for $999 in sunburst, Lake Placid blue, or olympic white. The Powercaster has a Jazzmaster-style body with a pickguard that sweeps like the fin of a '50s roadster. It features an Atomic humbucking pickup in the bridge position and a single-coil soapbar at the neck, combining "the girth of a humbucking bridge pickup with the edgy punch of a single-coil soapbar neck pickup," according to Fender. It has a Modern C-shaped neck, 22 medium-jumbo frets, and an Adjusto-matic bridge with stop tailpiece, and will be available in three-tone sunburst, white opal, or seafoam green finishes for $899. The Alternate Reality Meteora sports the same body as the Parallel Universe Meteora, but features two Player series humbuckers in place of single-coil pickups to add heft to the sound. 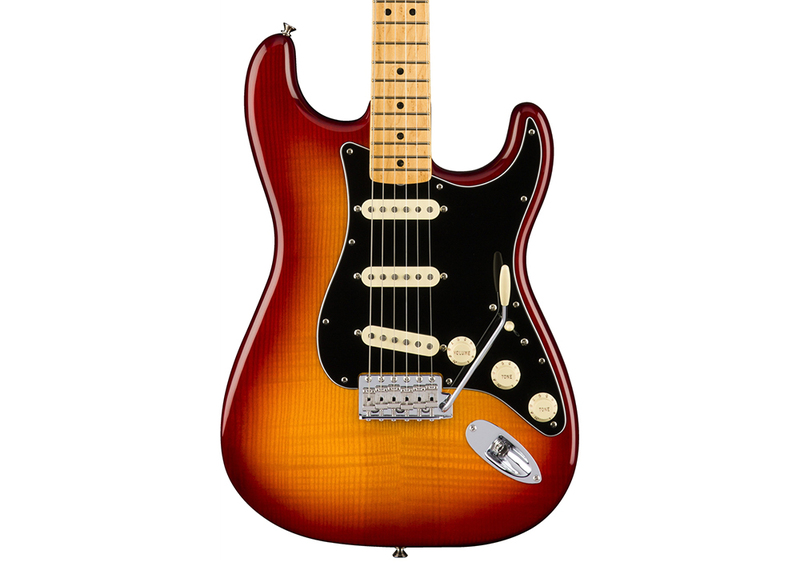 However, a push-pull tone control lets you split the pickups to achieve classic single-coil tones. A unique push-push switch on the pickguard swaps the volume controls, so you can easily do volume swells using either pickup. It has a 25.5"-scale maple neck with a modern C-shaped profile, with a quick 12" fretboard radius. It will be available in Lake Placid blue, candy apple red, or seafoam green for $999. 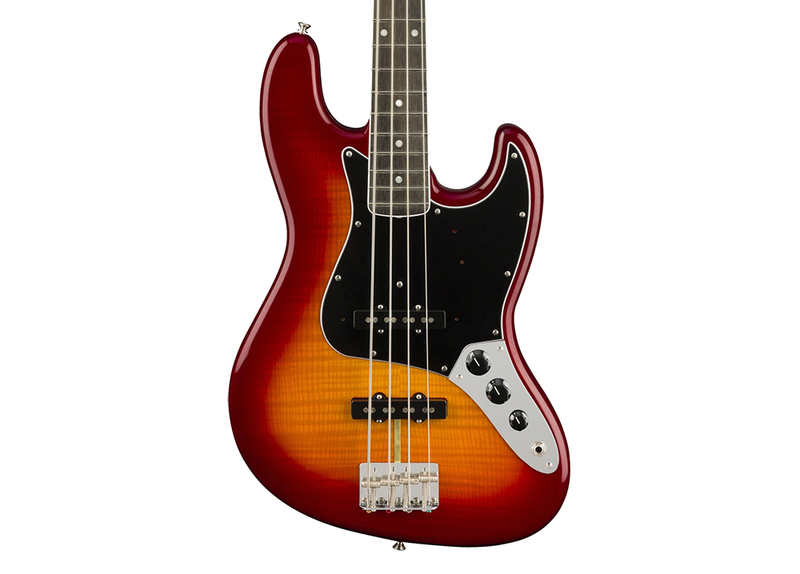 The Sixty-Six takes a Jazz Bass body, shrinks it down, and packs it full of arresting features. It has an HSS configuration with a Player series humbucker and two Tele-style single-coils in the middle and neck positions. Other features include a synchronized tremolo system, an oversized headstock, a modern C-shaped neck, and 9.5" fretboard radius. 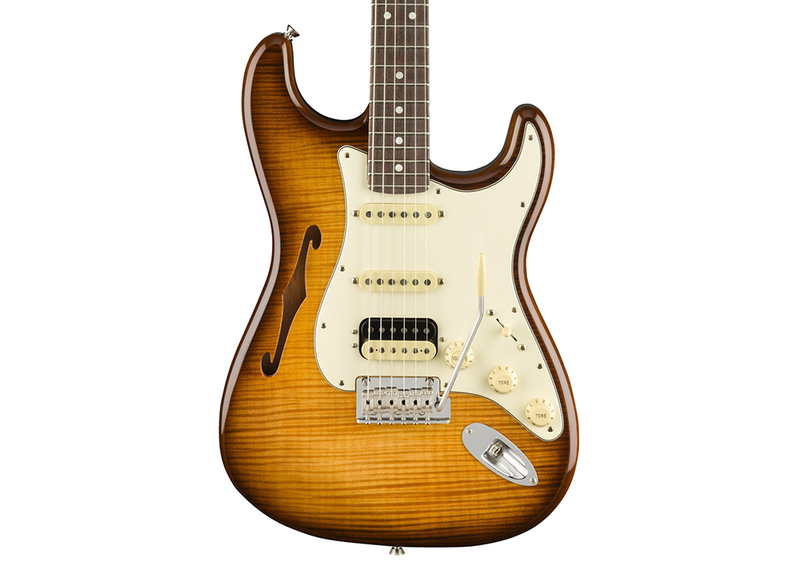 It will be available in sunburst, Daphne blue, or natural finishes for $899. 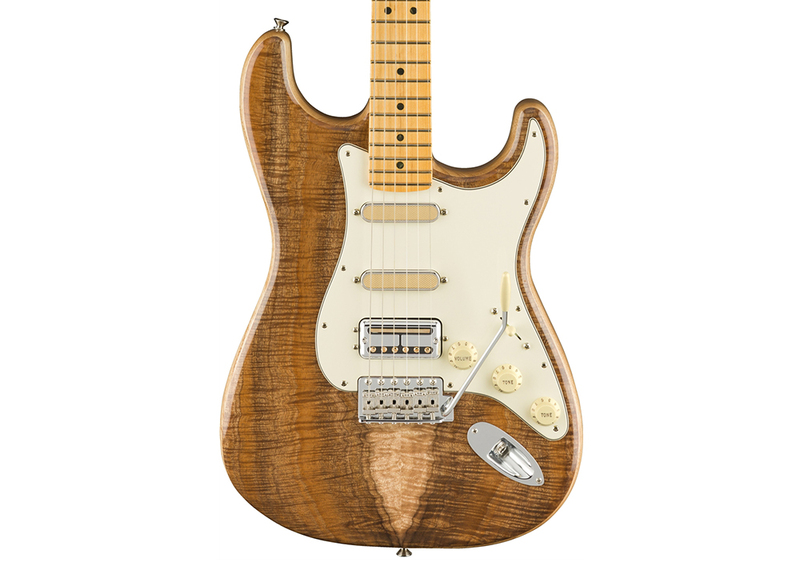 The limited edition Rarities series will see Fender bringing boutique stylings in-house, using exotic woods, premium pickups and electronics, and high-end finishes. The nine models, all made in Fender's Corona, California factory, will be available for $2,499, with the first release appearing in April and the rest spread out through the year.